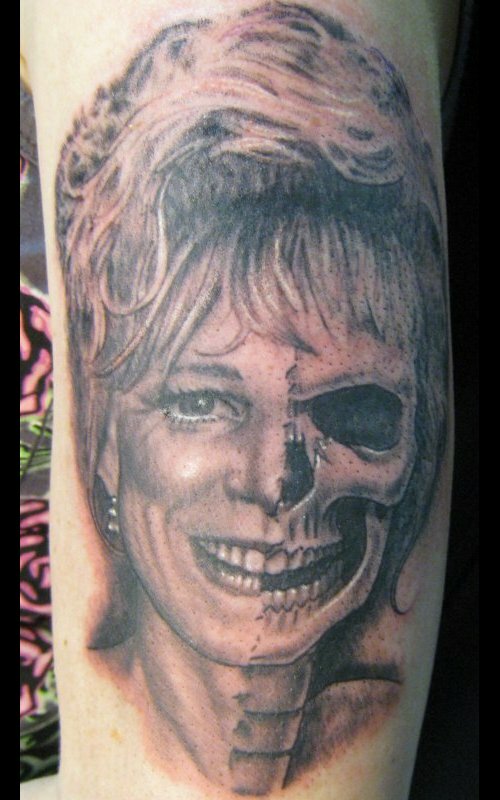 Life and Death Mother's portrait half skull tattoo. 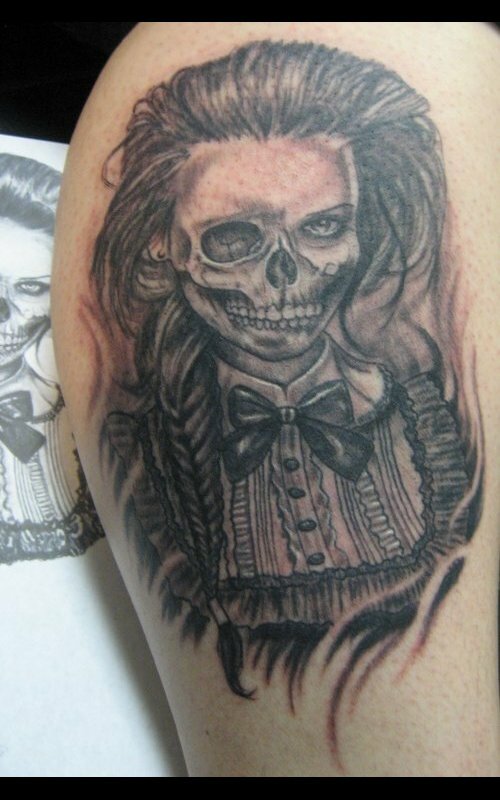 Dark Victorian Skull faced woman tattoo. 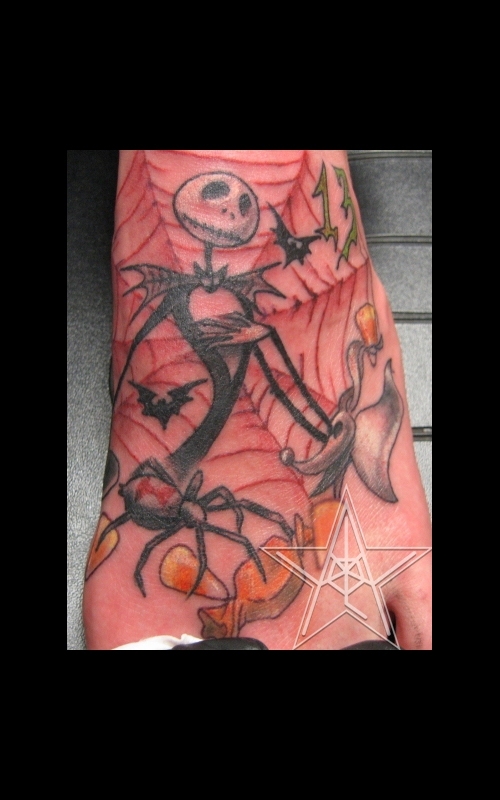 Jack and Candy I Jack Skellington tattoo with Halloween stuff. 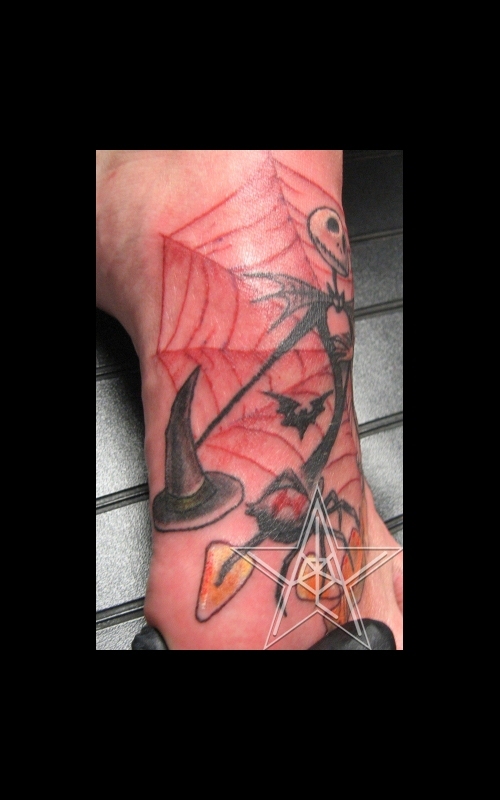 Jack and Candy II Jack Skellington tattoo with Halloween stuff. 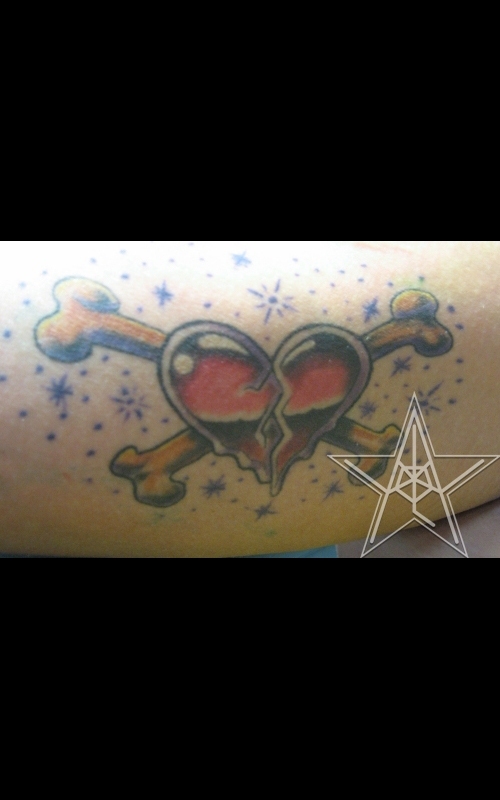 Heart N Bones Shiny heart with bones tattoo. Carved Skull Stone carved skull tattoo. Skully Butterfly Skull butterfly with sacred hearts in the wings tattoo. 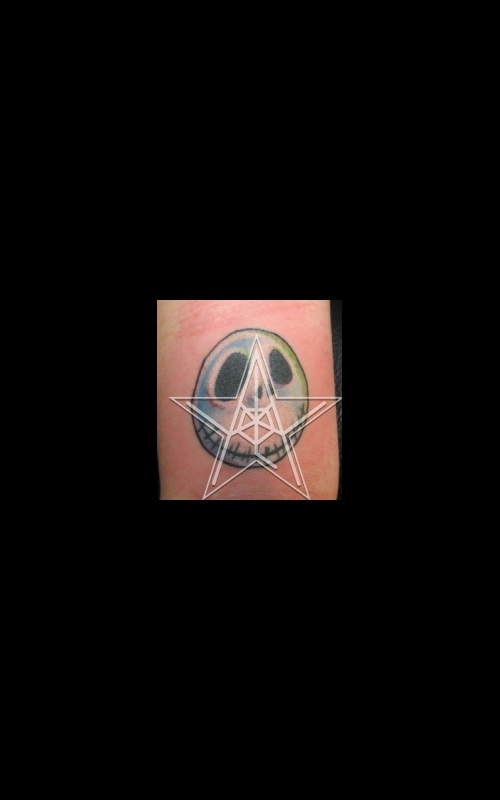 Jack Skellington Jack Skellington head tattoo. 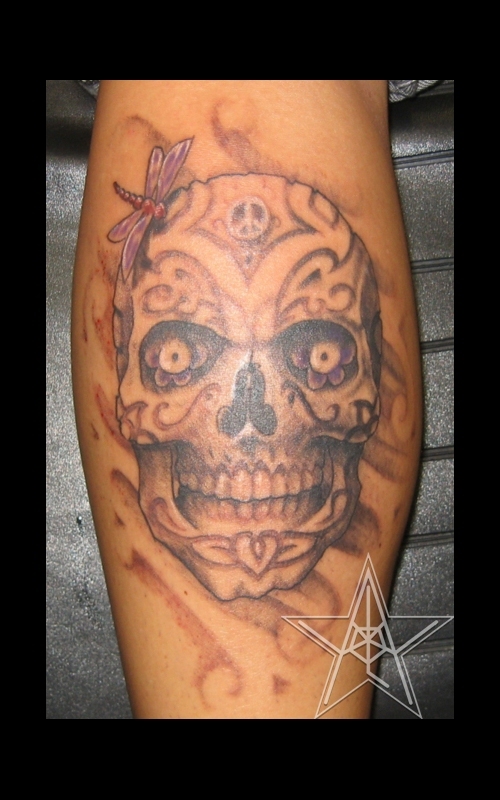 Bowskully Skull and Bones with bow tattoo. Firey Lowerback Skull with fire lowerback tattoo. 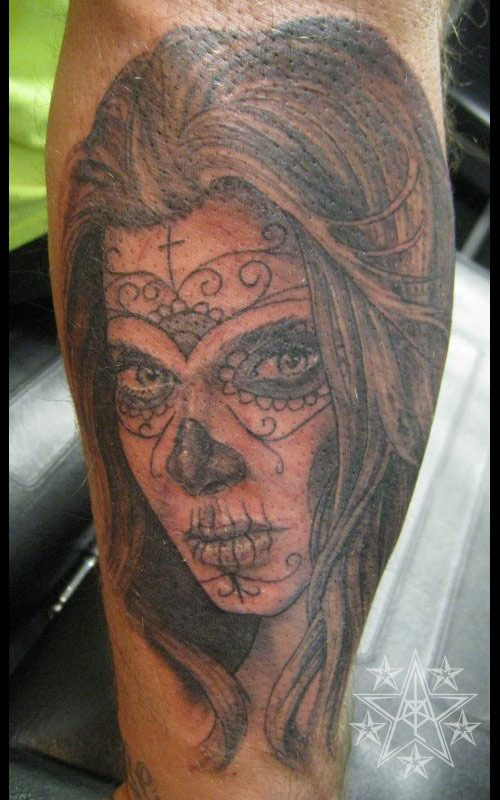 Skullhand Long haired skull with filigree tattoo. Bright-eyed Skullenlillies Full color chest piece tattoo. 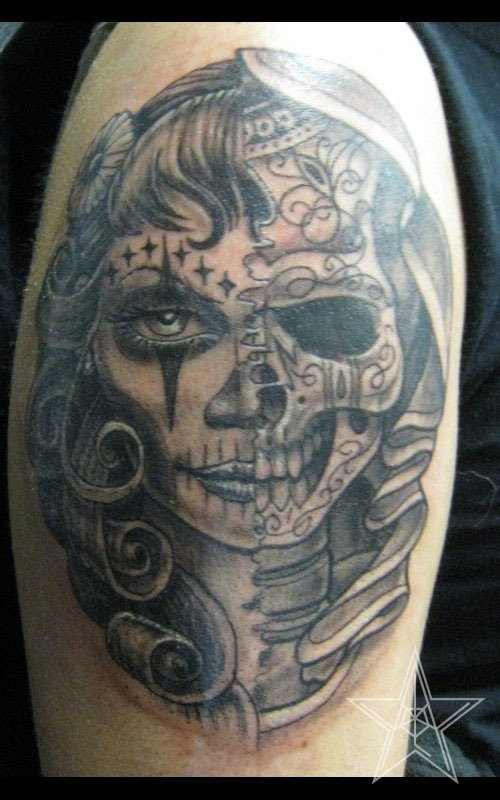 Beautiful Death Custom half woman's face, half skull tattoo. 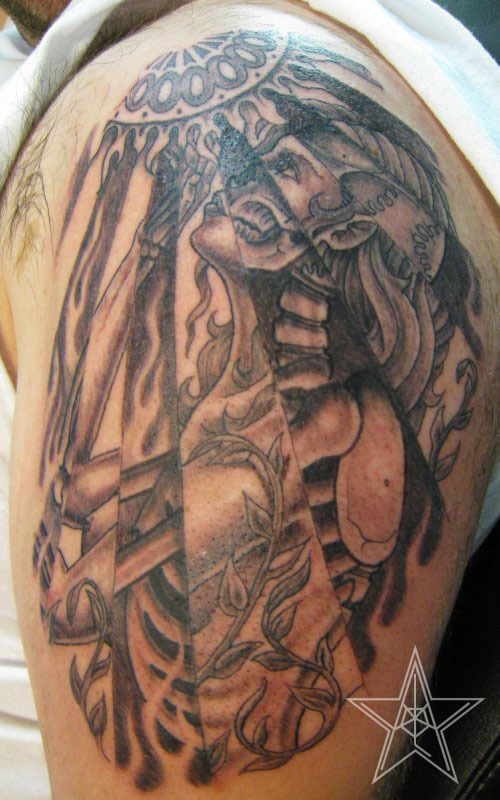 Light of Life Custom sun shining on skeleton and woman tattoo. 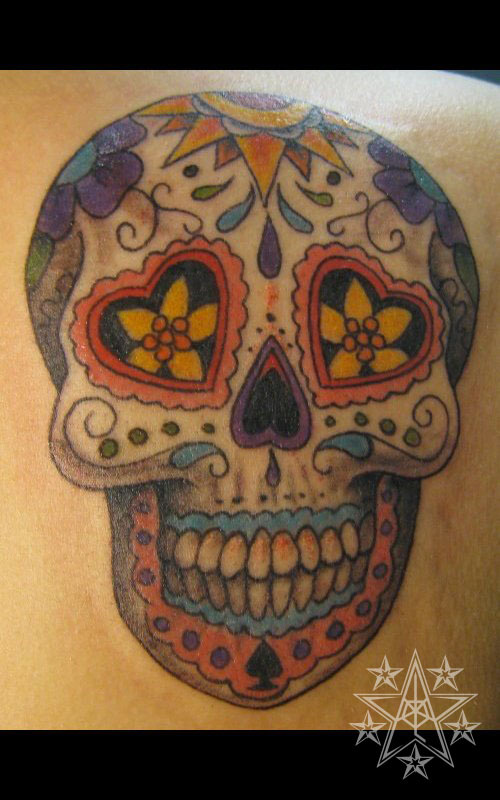 Dia De Los Muertos Skully Sugar skull tattoo. 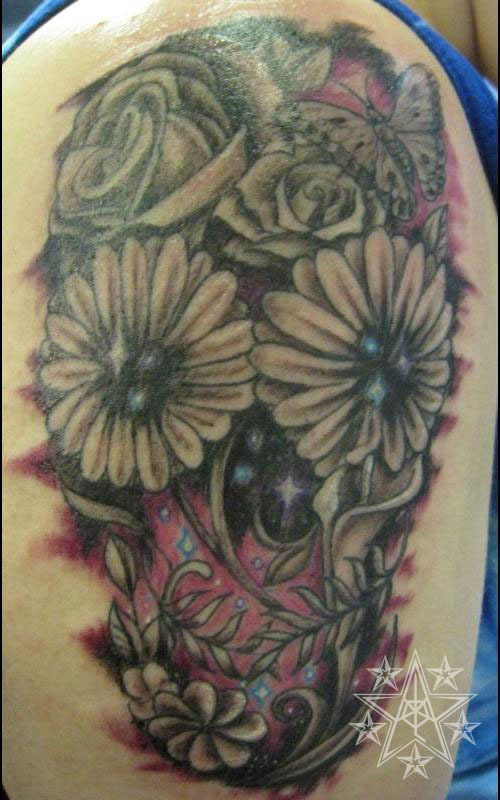 Flowery skull Galaxy and flower skull tattoo. Pretty Death Day of the Dead facepaint on model. 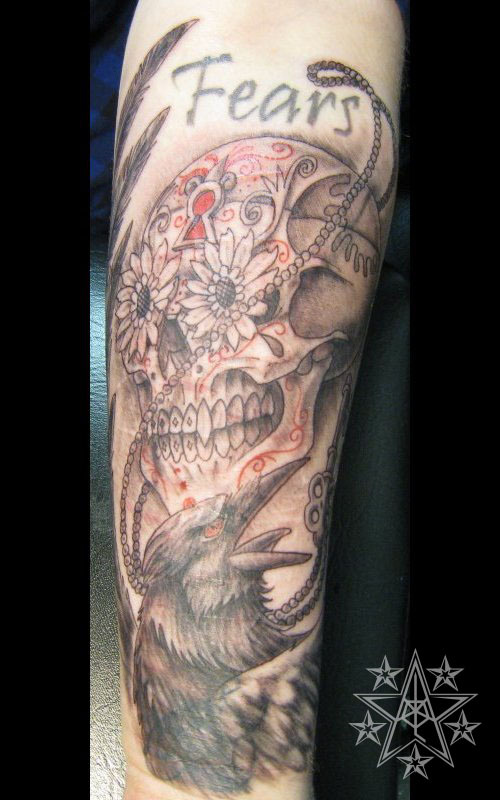 Raven's Call Skull and raven tattoo. 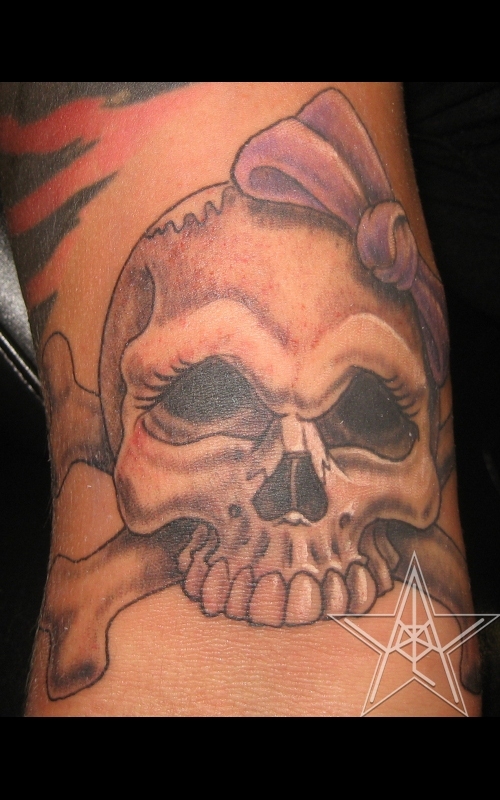 Girly skull tattoos by Ray Reasoner Jr.